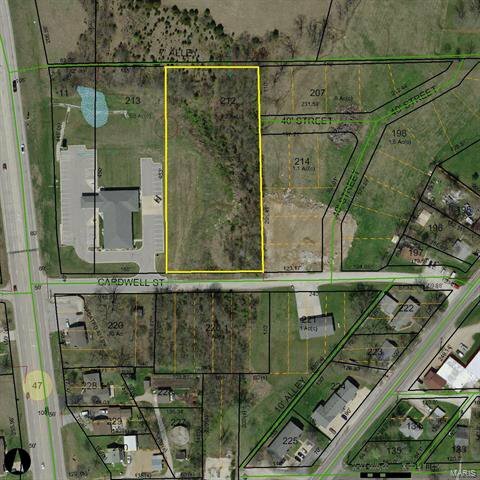 Approx 2.2 acres in city limits, vacant ground, access to city water and sewer. Visible location to Hwy 47, a minute, from I-44 for easy commute. Endless possibilities, currently zoned single family residence. Look at the opportunity to explore more options with this versatile and high traffic location.